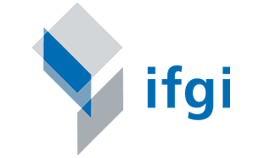 The Sensor Web community has published a beta release of the 52°North reference implementation of the OGC SOS 2.0 standard, the new 52°North SOS 4.0.0. It is a completely new implementation of the 52°North SOS with some improvements compared to the 3.5 SOS development line. There are further improvements planned which will be integrated in the next releases. The implementation of the 52°North SOS has been performed in the context of the OWS-9 CITE compliancy testing, and the European projects EO2HEAVEN and GEOWOW. It has been developed in parallel to the CTL (compliance test language) scripts of the SOS 2.0 conformance classes used by the OGC TEAM (Test, Evaluation, And Measurement) engine. A downloadable zip archive of the release is available in the download area of the 52°North homepage. This zip archive contains the sources as well as the binaries. The requirements for the release and some information how to install and configure the 52°North SOS 4.0.0 Beta1 are documented in the 52°North wiki. On our demonstation web server you can find an instance of the 52°North SOS 4.0.0 Beta1 release. The new test client provides some example requests which can be selected and executed. I have looked at both your 3.5 and 4.0-Beta releases of SOS, and am wondering if you found it infeasible to comply with the SOS 2.0 standard while maintaining any backward compatibility with SOS 1.0? 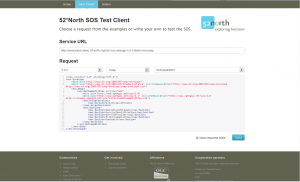 The 3.5 test client had full SOS 1.0 functionality, and SOS 2.0 output, but no insertions. The 4.0-Beta test client had no 1.0 operations at all. Thanks for any wisdom/experience you are willing to share! Thanks for taking a look at our beta release, Wendy. If you want to contribute more think about to get involved! Current issues we are working one can be found in our bugtracker. Regarding the implemented features, you might take a look at our growing documentation. We implemented a lot more of 1.0 spec and 2.0 in terms of functionality since the beta1 release. In the documentation, you can find a list of implemented operations/extensions/requests. Hope this helps and answers your questions. If not, feel free to join the latest discussions on the community mailing list (or use the forum view). To answer one of your questions more directly: We did not find it infeasible to maintain compatibility with SOS 1.0.0, it was simply a development requirement to start with 2.0. The clear goal is to provide both interfaces.